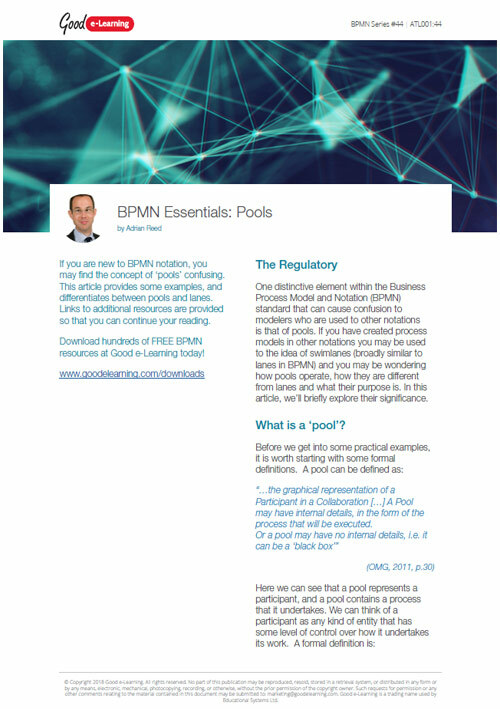 If you are new to BPMN notation, you may find the concept of ‘pools’ confusing. This article provides some examples, and differentiates between pools and lanes. Links to additional resources are provided so that you can continue your reading.